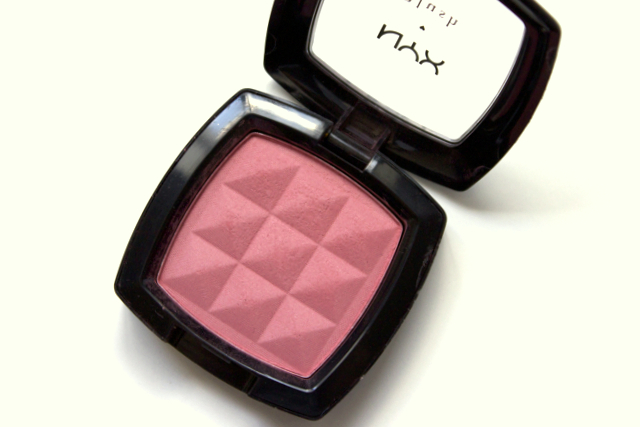 Fall is here, so I wanted to share with you one of my blushes that's great for this season. NYX Mocha is a medium matte red pink. 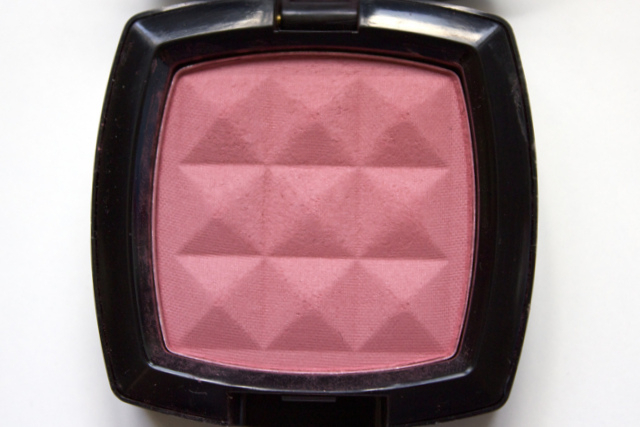 Like the rest of the blushes in this line, this one comes in a shiny black rounded square compact with a snap closure. The packaging is small and compact. The powder itself has a 3D pyramid design. Each blush weighs 0.18 oz / 5.2 g.
The color reminds me a little bit of berries, a pretty red pink shade, and has a matte finish. The formula is very pigmented, smooth, and is easy to blend on the skin. The blush lasted about eight hours on my cheeks. 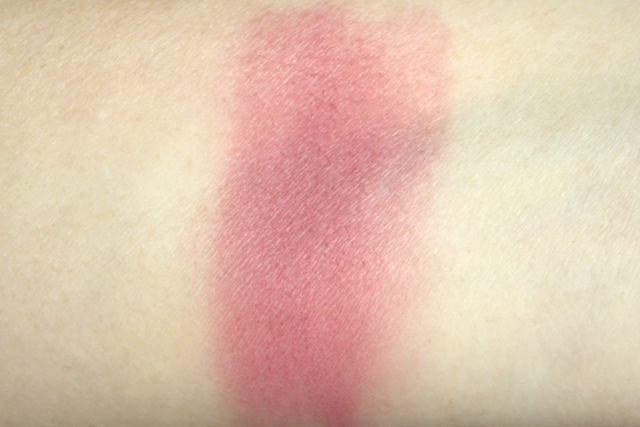 I really like this blush and if you are on the hunt for a color like this, I would definitely recommend it to you. NYX Blushes retail for about $6. I think this is a pretty good price for the amount of product you get, considering the quality.